Her new album, If We’re Honest, releases April 22. ”Write Your Story” was released to radio on January 3 and has had great success. 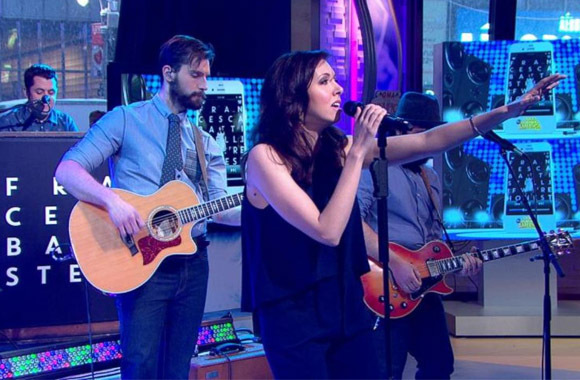 Francesca Battistelli has announced the dates for her upcoming ‘The Hands of God’ 2014 tour. She will be bringing along special guests Sanctus Real, All Things New and Jon Bauer. The tour stops in 15 cities and it began February 6 in Fayetteville, Arkansas. Tickets are on sale now, and all show details are available here. Battistelli’s new studio album titled, If We’re Honest (Fervent Records), is set to release on April 22, 2014.